One thing that can add value to your house is to finish your basement. It is great when it is done properly. If done incorrectly it can actually reduce the value of your house because buyers will recognize that the basement must be torn down then redone to retain the value of the house. I do notice that people claim to have finished basements and expect to charge a premium for a half assed finished basement. Or they like to finish their basement themselves and claim that a professional did the work. To a person living in the 1800’s this might be acceptable but in today’s day, forget it. Buyers are knowledgeable and educated, they will not be fooled and will not pay a premium if the work is not done correctly. A better thing to do is leave the basement alone if you don’t need it. 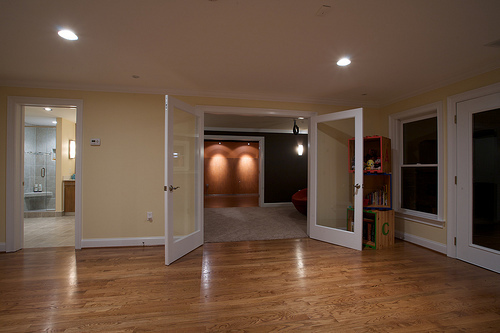 Buyers would rather finish a basement themselves rather than fix a bad finished basement. My advice is to either do it correctly and spend the money, or don’t do it at all. 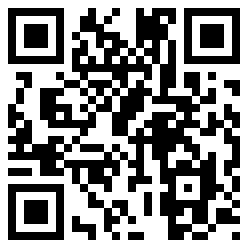 What are QR codes. I’m not an exp ert but basically what I know is that you can go to a website, and put a phone number, web link, or whatever you want and this website will spit out a picture with a code imbedded in it. Then you take you smart phone and either take a picture or wave your phone and it will take your web browser or dial a number automatically. This is a great tool to use for Real Estate. You can take your website which is made for your property and create a QR code for it and print it out and place it on your sign. When buyers are driving by they can wave their phone and they browser will go directly to the property website. Instead of having flyers outside on the sign your potential buyers can get information directly on their smartphone within seconds. If you have a video on YouTube, they can go directly to a tour and watch it while driving home. Well not the person driving but the passenger. I believe that this technology will start to be incorporated into signs right now and in the next couple years. Is your Agent on Board? Here are some “Bites” to consider regarding selling your house. 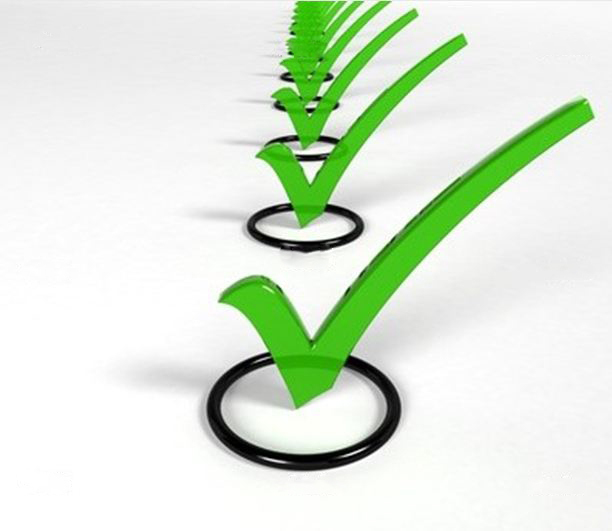 Make sure you check these off when selling your house! • Have the property well presented and looking its best at all times. • Keep the garden neat and tidy. Have the shrubs trimmed and the lawns cut. • Do not let people come through the house unless they are accompanied by a salesperson. • Leave the house during all showing, if not possible and the prospect asks questions about the neighbourhood, answer directly and honestly. Leave transaction questions to the salesperson. • Let plenty of light into the rooms. The atmosphere improves and people can see better. • Have the garage clean and tidy. Broken window panes or loose door knobs make an unfavourable impression. • Set blinds at one level or drapes drawn evenly. • Fix the minor items – sticking doors, broken switches. Buyers spot the small items then start looking for problems. • If you have a dog, keep it out of the house and under control. Many people are afraid of dogs. • Keep the house warm on cool days and have plenty of fresh air on hot days. • Leave the showing of the house to a salesperson. • Never apologize for the appearance of the house. You are pointing out the faults. • Some redecorating can mean a difference in the selling price. • Always be prepared to show your property. The prospect you turn away could be the buyer. • Avoid following the salesperson from room to room, let them show the home. It’s important that buyers take their time and feel relaxed in the house. • Don’t hesitate to talk to your agent or representative about any aspect of the sale. 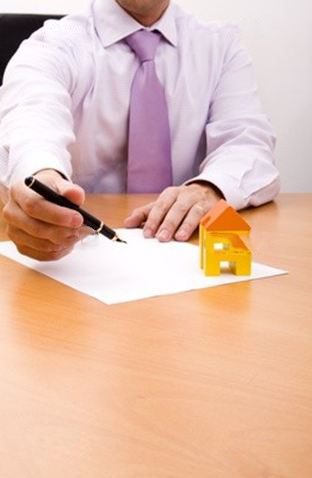 Also advise them of any change in your circumstances that may affect the selling of your home. • Clean your gutters and downspouts and change your furnace filter, little things like this make your house look well maintained. • Handles that are missing or outdated and switchplates that are dirty or worn send the wrong impression. If they are replaced to look new and shiny, it shows that you pay attention to the details of your home and gives your home an instant update. • In the Kitchen, clear all unnecessary objects from the kitchen countertops and keep the refrigerator clear of messages, magnets and pictures. • In the bathroom, remove any unnecessary items from countertops, tubs and shower stalls. Coordinate towels to one or two colors only. **If you read my blog you would remember, Take all family pictures down. Read here why! Real estate agents have a saying, “The first offer is usually the best one”! I always had skepticism regarding this saying, but after being through so many offers, this statement has proven to be true. Usually when you receive a very good offer right off the bat, the buyer is really excited and motivated to buy the house. Putting in a counter offer is always a good suggestion right away because you know they most likely will come back with a higher offer than the first one. I alway suggest working with the first best offer you get. If it is a terrible offer, I would speak to the other agent and ask him if his or her clients are serious. If I get the feeling that they are just shooting for the stars I will explain that to my clients. At this point it is a great idea to wait for a better offer. Usually people who shoot ridiculous offers around will never come close to what your house should sell for. Depending on the circumstances, and I might add each sale is different and has different motivations for selling. When you receive a great offer, think about all of the possible outcomes, are you prepared to let this offer go? are you prepared to wait around for a better offer, and maybe not? Can you afford to wait for the price or wait for that bidding war you are trying to get your house into? These are questions that are very real. Playing around with an offer could mean that the buyer walks away. It happens a lot and when there are many choices out there it is more common place. Why work with a seller when you can buy a similar house down the street with sellers that are not nickel and diming? At the very least sometimes buyers will go out and look again and hope that your house is still on the market before coming back with an offer for more money. So the question you must ask yourself is, Are you prepared to let this offer GO? There is a right and wrong way to sell a house. Its a science. A set of rules to follow. The good agents or people who sell their house follow most of them. They occasionally might make a mistake. As a home owner, I’m going to assume that you are using an agent to sell your house. The one rule that I would tell you that is not breakable is to speak to potential buyers about the house. As a salesperson for so many years, silence is usually the best policy when speaking to potential buyers. Certain information you do not want to divulge. Information regarding the house, neighbourhood is fair game. (There are a few others but I don’t want to bore you) I will never not say anything that I must legally declare. Aside from that there is a ton of information that home owners tell me when I am visiting a house if they happen to be home. Information such as if they bought a house, why they reduced the price, did they have any offers, and the list can go on and on. Even a minor detail as them saying that they bought a house gives my clients an advantage while negotiating. Its like showing your hand at a poker table before the bets are placed. I have seen it time and time again, in just a common conversation, a seller will divulge so much information that if their listing agent was there, he would go nuts. My advice is to leave the house all together, or shut up! I know that is not possible in some cases but it can mean thousands of dollars in your pocket in the end. Another common thing I see is that sellers feel the need to sell their house. They think that they are great salespeople. What they don’t realize is that their emotion is written all over their face. They think that by showing the house off that it sells faster. WRONG, if the house is great it will sell itself. Either it sells itself to the buyer, or the house will turn off the buyer. Sellers don’t realize that Agents are trained sales people, all they do is eat breath sales, one small slip gives them the upper hand and thousands out of the sellers pockets.